Sometimes there is a grain of truth to food combination warnings, but it is rarely reason enough to swear off of them entirely. Stick with us to discover the facts and the fiction surrounding 4 food combinations that the internet says will ruin your health. 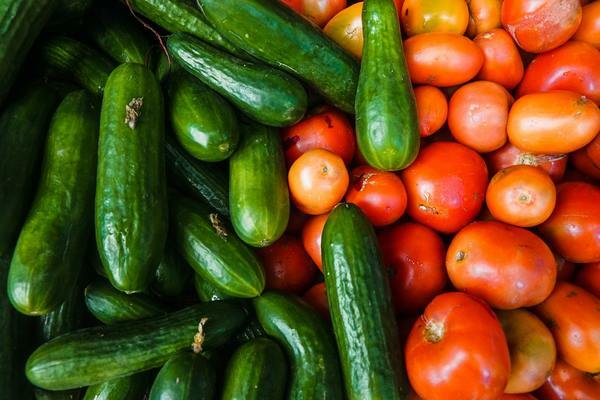 The story: Because cucumbers and tomatoes have vastly different digestion times, eating them together is likely to cause nausea, gas, bloating, or even (gasp) death. Cucumbers also contain an enzyme that destroys the vitamin C in tomatoes. That salad you thought was healthy is really making you sick. The reality: It’s actually true that cucumbers contain an enzyme that destroys vitamin C, but as long as you eat a generally balanced diet, you will get plenty of daily vitamin C from other sources. And, adding a little vinegar to the combo negates the effect. Since salad dressings often contain vinegar, you rarely need to worry about this part of the rumour. The story: Proteins and carbohydrates are digested differently and your system can’t handle that. A carbohydrate begins to be broken down by saliva and the process continues in your stomach and intestines, while protein doesn’t really start to get digested until it hits your stomach. So goodbye, spaghetti and meatballs. Adios, chicken fettuccine. The reality: While different foods are digested a bit differently, most bodies are totally able to handle this. Humans evolved eating a variety of proteins, carbohydrates, and fats, so in reality, we are built specifically to eat this way. Unless you actually experience digestive distress, don’t worry about this one. The story: Another twist on the theme of “different digestion times” suggests that eating fruit with or after a meal is dangerous because fruit is so easily digested that it ferments in your stomach while hanging around waiting for other food to digest. The reality: The sugars in fruit do digest pretty quickly, but fruit also has fiber that acts to slow absorption of that sugar into your blood. It’s actually a helpful failsafe that prevents a dangerous spike in blood sugar.